Introduced in our Cruise 2019 presentation, this new version of the Cherbourg pump is crafted from calfskin that is carefully finished to give it a unique two-tone look. 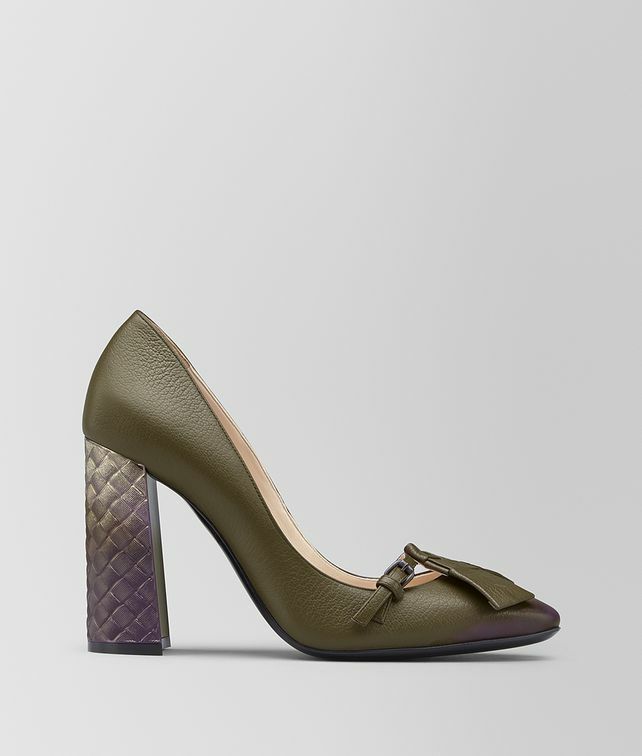 The style is made with an almond-shaped toe and intrecciato-textured block heel that has a dégradé metallic patina. The pair is accented with a flat nappa bow and delicate brunito buckle at the toe.